Having a handy water bottle is a popular trend these days. Everyone seems to have one. Go to a local restaurant or café and rest assured, you will find someone opting to use a water bottle instead of cups or glasses. Everyone has their reason for using water bottles – safety, environmental friendliness, or physical activities. Cyclists, in particular, need water bottles to make sure that they can stay well-hydrated with little hassle. Bringing along a water bottle is a must whenever you are cycling. You are constantly losing water due to perspiration, so rehydration is of particular importance. Dehydration is something that should be avoided at all costs since it can severely impact how you ride. Dehydration can lead to impairment of judgment, weakness, discomfort, and more serious problems. Now that you know why water bottles are important when you cycle, you should be getting your own. There are things to consider when you are buying a water bottle, as your bottle of choice could also have some impact on your ride. Here are a few things to think about when shopping for a water bottle. The durability of the material of the water bottle you’ll choose is extremely important. It goes without saying that cyclists move a lot. All this movement increases the chances of your water bottle getting bumped and knocked. With this in mind, the durability of the material will directly affect how long your bottle will last you. Glass bottles are definitely a no-no for cyclists, even though they look stylish. You should opt for a water bottle that is made of tougher materials like metal or plastic. These will definitely not break easily. Metal may dent though, and plastic may become brittle after a while. Consider material when making your choice. Ensure that the water bottle you pick is easy enough to use when you are on-the-go. Considerations to this end include grip, drink-friendliness, and weight. The bottle has to actually stay in your hand even when you are sweating so make sure that the bottle’s grip is slip-proof. Having a rubber sleeve will help. The shape of the bottle, and its diameter, will also determine how easy it is to use while riding. Some bottles may also make it too hard to access the water easily. Make sure that the bottle you get can dispense water with ease when you need it. You don’t want to navigate a complicated cap while cycling just to get to your water, after all. Finally, the weight of the bottle itself should also be considered. It should be light enough that it can be easily carried even when full of water. The design and functionality of the water bottle are quite important. Make sure that you get a water bottle that can fit easily onto your bike, or one that has attachments for easier fitting. What’s the use of a water bottle that you can’t carry when you are cycling, after all? Keep in mind that the shape of the water bottle is important in this case, as well as any grooves or dips. Another design consideration that you have to think about is if the water bottle is spill proof. There is no point in having a bottle fixed onto your bike if the bottle is empty when you get thirsty. Make sure that the bottle that you get has a lid or a stopper that prevents spills or leaks, while still making it easy for you to get water. Some people are more into aesthetics than others, but this doesn’t mean that picking a water bottle purely based on functionality should be done. We are sure that you’ve taken extra effort to make sure that your bike is visually pleasing. As such, do not ruin the look by picking a water bottle that does not fit your bike’s aesthetic. 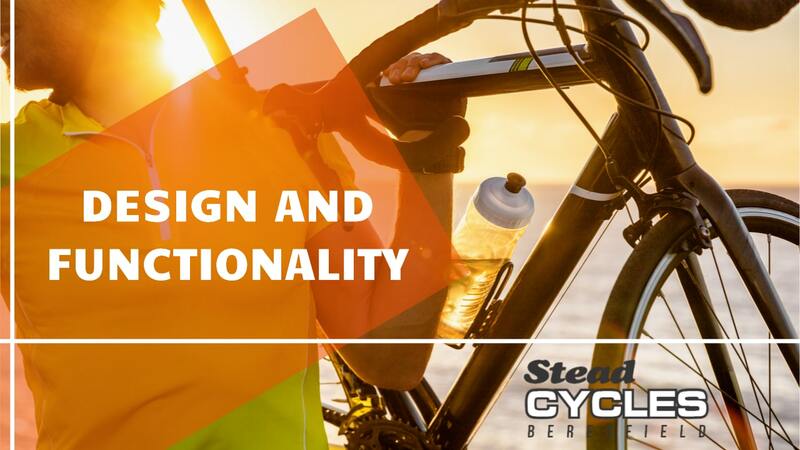 Water bottles come in a variety of colours and designs, and there’s a bottle out there that will fit your bike perfectly. Some bottles are better at keeping the temperature steady, than others. If this is one of your considerations, then get a bottle that can keep your water cool for a longer period of time. 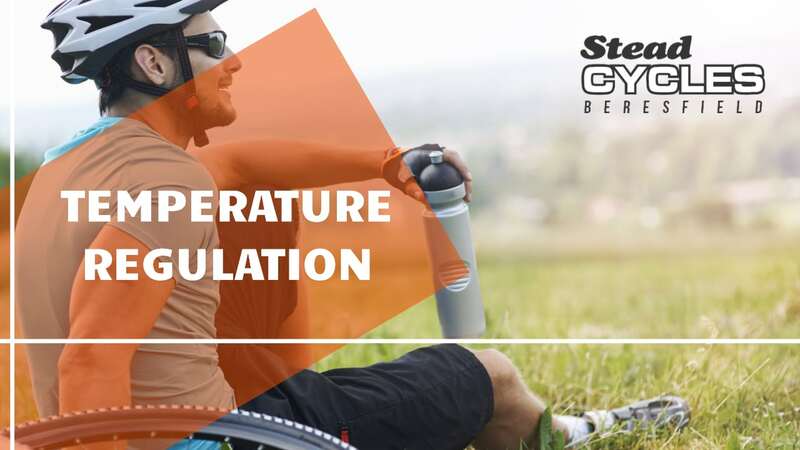 Having a steady supply of cool water is more refreshing, after all, and can positively impact how you ride. If you want a water bottle that will keep your water cool, then consider getting one made of stainless steel. Aluminium or plastic just won’t cut it here. Make sure you also get a bottle that is insulated to ensure longer temperature retention. Water bottles come in a variety of price ranges. Generally, stainless steel or insulated bottles are pricier compared to the others. This is not to say that they are all expensive; prices still range from brand to brand. Best to look for features and not the brand of the bottle. If you are looking to invest in a good bottle for the long-term, then consider getting one of these. Stainless steel is quite sturdy, good at regulating temperature, and affordable. Aluminium and plastic are also good alternatives if you are not willing to spend for a stainless steel water bottle. Having a good and functional water bottle is important in order to keep you hydrated. 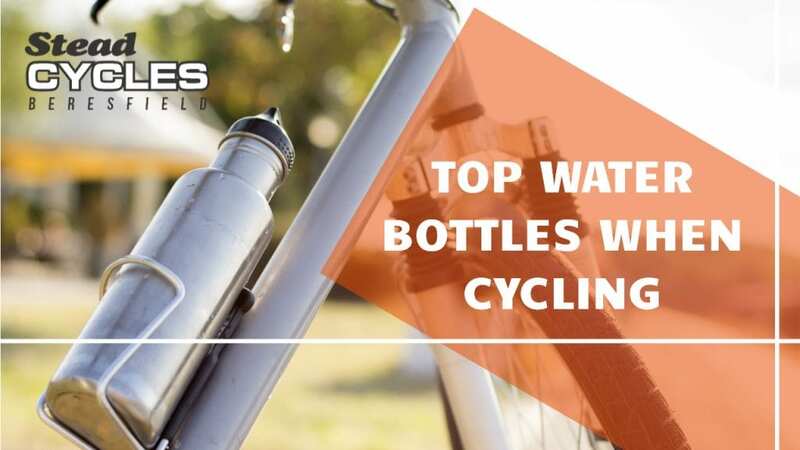 Not all water bottles are created equal, so make sure you choose the proper bottle that fits well with you and your bike. At Stead Cycles Beresfield we can help keep you stocked with supplies for all your cycling needs. Contact us at 4966 2141 for enquiries.